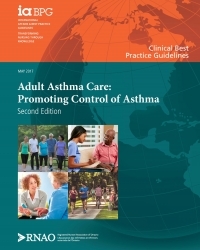 This nursing Best Practice Guideline (BPG) is intended to replace the RNAO BPG Adult Asthma Care Guidelines for Nurses: Promoting Control of Asthma (2004) and its supplement (2007). It is to be used by nurses and other members of the interprofessional health-care team to enhance the quality of their practice pertaining to the assessment and management of adult asthma, ultimately improving clinical and health outcomes through the use of evidence-based practices. 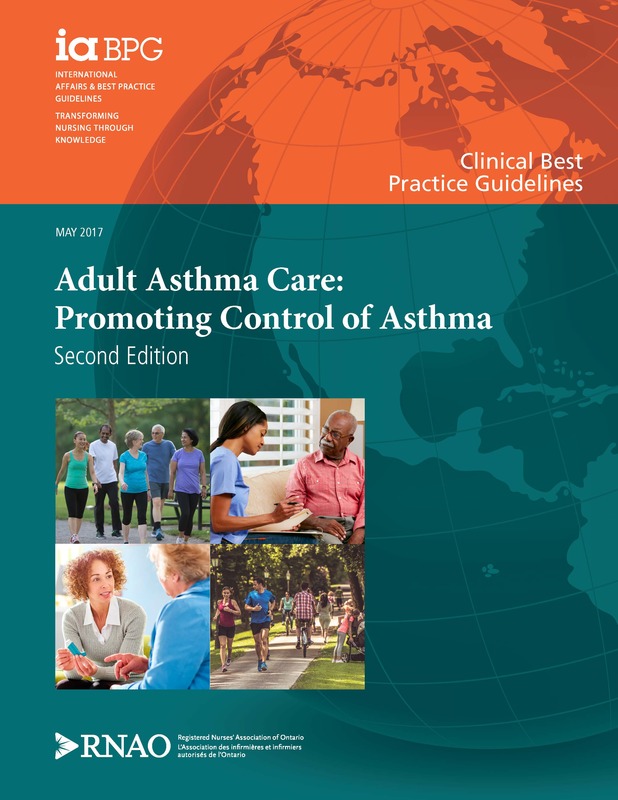 This Guideline aims to assist nurses and other health-care providers help persons with asthma achieve asthma control, thereby minimizing and, ideally, preventing morbidity and mortality and improving quality of life. Practice recommendations are directed primarily at nurses who provide direct care to persons with asthma across the spectrum of care. The secondary audience of the practice recommendations includes other members of the interprofessional health-care team who collaborate with nurses to provide comprehensive care. Education recommendations are directed at those who are responsible for the education of health-care providers and they outline the core content and training strategies required for entry-level health-care programs, ongoing education, and professional development. Organization and policy recommendations apply to managers, administrators, and policy-makers who are responsible for developing policy or securing supports required within health-care organizations that enable the implementation of best practices. For optimal effectiveness, recommendations in these three areas should be implemented together.